Safe Routes to School (SRTS) is an international movement in more than 40 countries and all 50 states. Safe Routes To School (SRTS) was created to help to make walking and bicycling to school safer and more accessible for children, including those with disabilities, and to increase the number of children who choose to walk, bicycle, take public transit, or ride in parental carpools. On a broader level, SRTS programs strive to enhance children’s health and well-being, and improve the daily life of all members of our community. 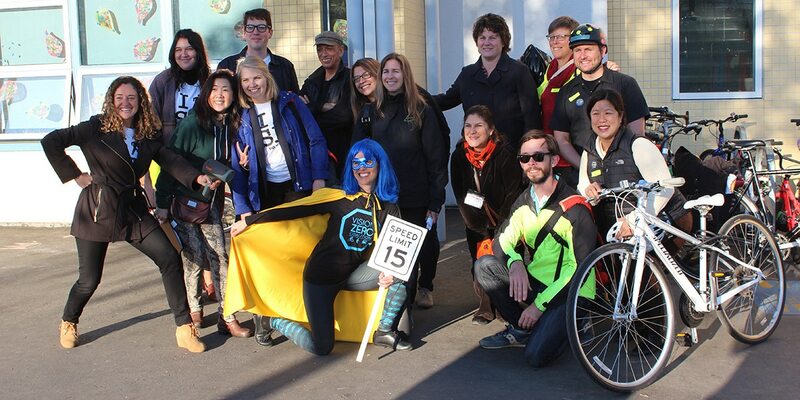 If you want to help us with our mission to enhance the future for San Francisco students and families by advancing safe, healthy and accessible transportation to and from school, please let us know!